MANILA, Philippines - Nine-member K-pop group Girls Generation achieved another milestone in Japan with their single "Mr. Taxi" reached double platinum status in Japan. The Recording Industry Association of Japan (RIAJ) issued on May 18 new certifications for downloaded "chaku-uta full" (full digital songs) for mobile phones and PC downloads. "Mr. Taxi," which was released in Japan in April last year, has now been downloaded 500,000 times, thus earning a double platinum certification. On the other hand, K-pop group T-ara's Japanese version of "Bo Beep Bo Beep," released in October last year, earned gold certification in PC downloads after selling 100,000 copies. 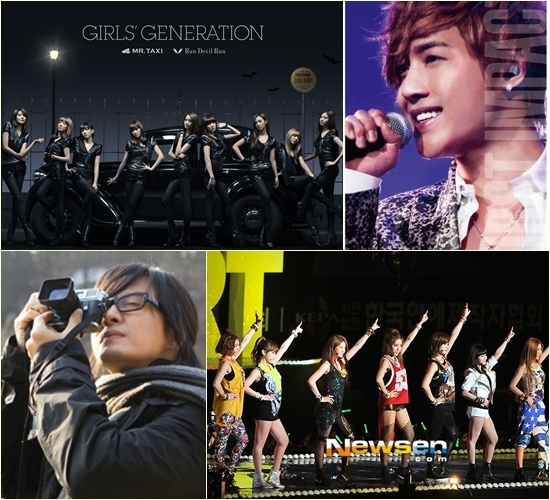 Several Korean artists also charted on the Oricon chart. Hallyu star Kim Hyun Joong released his "First Impact" concert DVD, a chronicle of his concert in Japan last February, on May 16. Upon its release, the DVD topped Oricon's daily DVD and music DVD charts. Another Hallyu star, Bae Yong Joon, released the "BYJ Official Premium Box: Journey of the Heart" last May 8, and it also charted at No. 6 on Oricon's weekly DVD ranking. Boy band SHINee's "Sherlock," released last May 16, debuted at No. 2 on Oricon's daily singles chart, selling 28,045 copies on the first day. FT Island released their album "20 (Twenty)" last May 16, and it sold 20,372 copies to debut at No. 3 on Oricon's daily albums chart. Super Junior also released their new Japanese single "Opera," which sold 159,789 copies to place third on Oricon's weekly CD singles chart.